Do you believe that a dog can find true love in any home, or that there’s one perfect home out there for every dog? 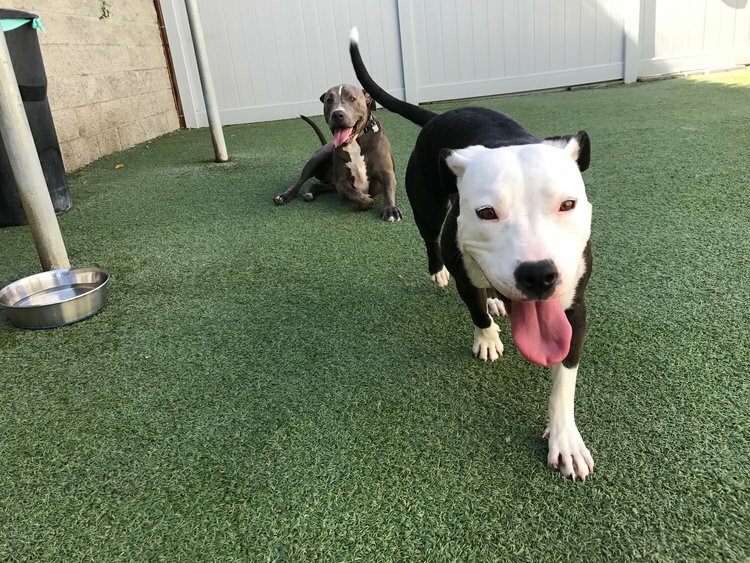 When we see a perfectly adoptable pup go so long without a home, it seems that there must be a home out there where she belongs that just hasn’t found her yet. That’s the case with Nicky, a young Pibble in California who has waited over a year for the right person to adopt her. At only 10 months old, Nicky was pregnant and in a dangerous situation in a high-kill shelter. She gave birth to her pups and waited as the clock counted down the short time she had left. On the last day she was “safe” Love Leo Rescue and The Ark Animal Rescue took notice of her and her pups and gave them all the time they needed. Since then, all of Nicky’s pups have been adopted, but she’s still waiting. 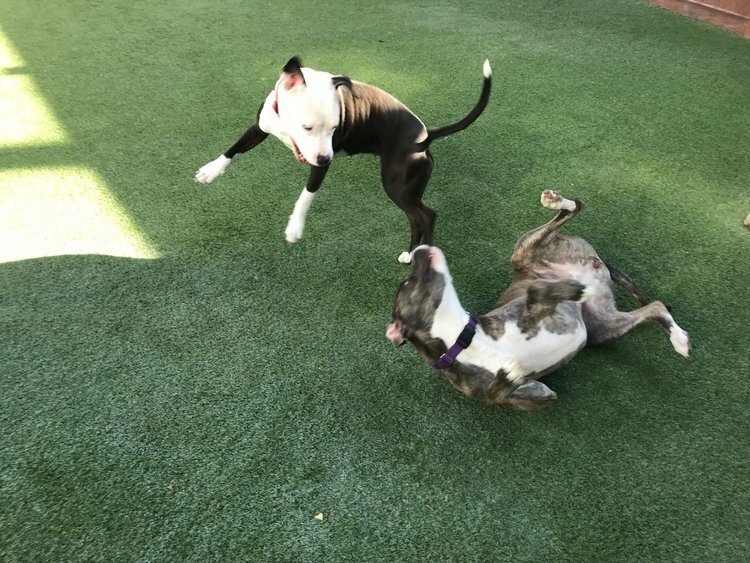 Love Leo Rescue believed that Nicky would need to be an only-dog because she seemed aggressive with other pets, but when they put her into training at THE ZEN DOG to try to help correct the issue, her trainers realized that she wasn’t as aggressive as originally believed. Nicky may not immediately warm up to other dogs, but with one-on-one introductions, Nicky can enjoy playing and socializing with other pets. The staff at THE ZEN DOG were easily won over by Nicky, and decided to take the responsibility of finding her a home into their own hands. She lives at their boarding facility where they continue to train her, but they still hope to find her a home of her own. The ideal home would be one with a high fence and without small children, as Nicky is still learning to be calm and keep her paws on the floor. Though they’d prefer to find her a home without other pets, if her new family is patient and can give proper introductions, Nicky can be happy in a home with another dog. THE ZEN DOG is willing to provide a discounted in-home training session to help make her transition go as smooth as it possibly can. Nicky’s forever home is out there somewhere, and just hasn’t found her yet. This gorgeous, goofy girl is ready to join her new family and catch up on years of play, cuddles and fun. Learn more about her by clicking here. If you’d like to help Nicky find her forever home, you can share this post with your friends and spread the word. If you’re interested in giving Nicky a new home, you can contact THE ZEN DOG by clicking here.